Hopefully, you got a chance to enjoy the fall feel. The next several days feature a forecast that is back to normal and seasonably sticky. With moisture return comes at least a chance for some rain. Through Wednesday, the Baton Rouge area has gone eight days without rain, continuing a deficit for the month of September. There is no cause for alarm on this, dry stretches are normal during the fall months and gauges are still running a surplus of approximately one foot for the year. If you want to keep the lawns and gardens happy though, you might consider watering in the days ahead. Today and Tonight: A warmer afternoon is ahead as mostly sunny skies and southwest winds of 5-10mph push thermometers into the upper 80s. The night will follow up with mostly clear skies and lows in the upper 60s. It will feel a bit stickier as you wake up on Friday. 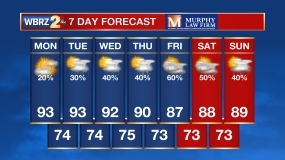 Up Next: The week will end with partly sunny skies and highs near 90 degrees, which is closer to normal for the time of year. An isolated shower or thunderstorm is possible during the afternoon hours. 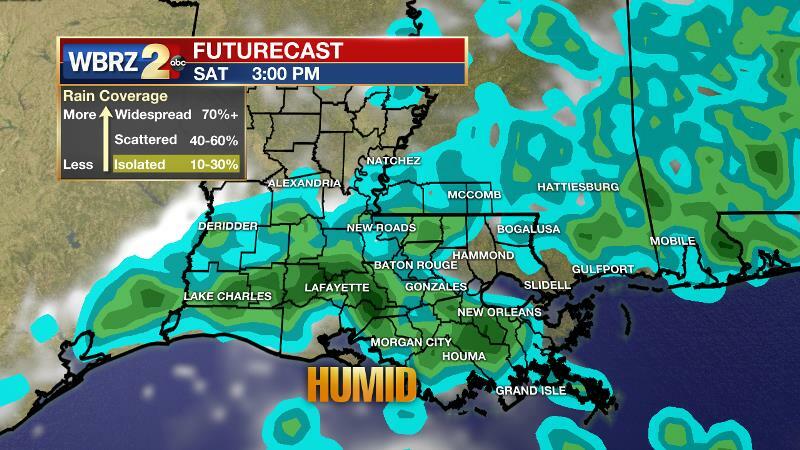 After beginning in the 70s, a similar forecast is expected for Saturday with only a slightly better shot at a shower. Sunday into early next week will feature standard mid-September weather with partly sunny skies, slim rain chances, highs in the low 90s and lows in the low 70s. 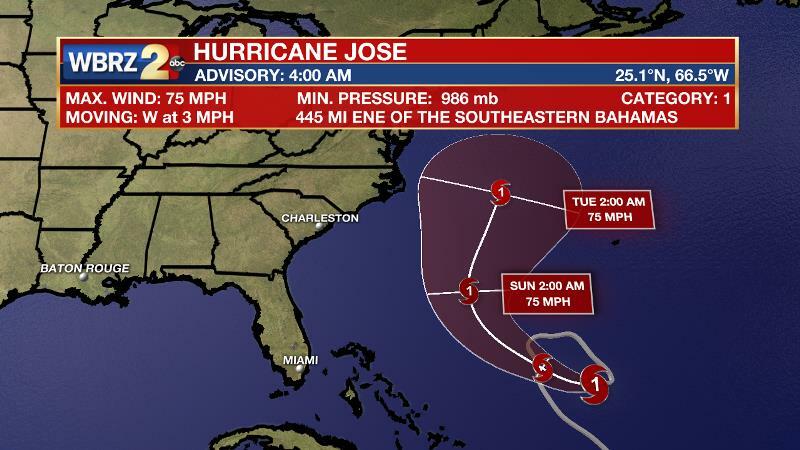 The Tropics: Hurricane Jose is still spinning in the Atlantic Ocean between Bermuda and the Bahamas. At this time, the storm packs 75mph winds and a minimum central pressure of 986mb. The National Hurricane Center forecast continues to show Jose looping out to sea between Bermuda and the Eastern U.S. over the upcoming weekend. On Thursday, an upper level trough will begin to lift away from the Mid-South. Temperatures will begin to climb a little bit as the trough weakens. Surface high pressure will take the place of Irma remnants in the Eastern U.S. and resulting south winds will begin to introduce Gulf moisture once again. Seasonable temperatures and humidity will then be in place Thursday into early next week. Isolated afternoon showers and thunderstorms may fire along any subtle marine breezes Friday and Saturday, but an upper level ridge should build over the area on Sunday and Monday, limiting convection. In addition to that, precipitable water is expected to be standard for the time of year which will also cap rain production somewhat.